The Beatles have long been confirmed as the biggest band in the world but now it seems the top bands in the world all hail from the UK. 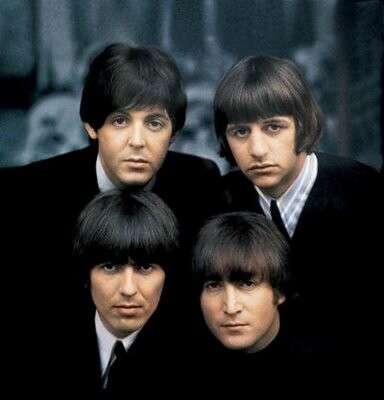 The quartet of Paul McCartney, George Harrison, Ringo Starr, and John Lennon crossed the billion albums sold threshold joining only single artistes Elvis Presley and Michael Jackson in the top three. The top 20 artists in music history are The Beatles, Michael Jackson, Madonna, Led Zeppelin, Elton John, Pink Floyd, Mariah Carey, Celine Dion, AC/DC, Whitney Houston, The Rolling Stones, Queen, ABBA, The Eagles, U2, Billy Joel, Phil Collins, Aerosmith, Frank Sinatra, and Barbra Streisand. Except for the The Beatles, Elvis Presley, and Michael Jackson, only Madonna, Elton John, Led Zeppelin, and Pink Floyd have sold over 250 million albums worldwide. The Australian group AC/DC and Swedish band ABBA join those that have sold between 100 and 200 million albums worldwide.